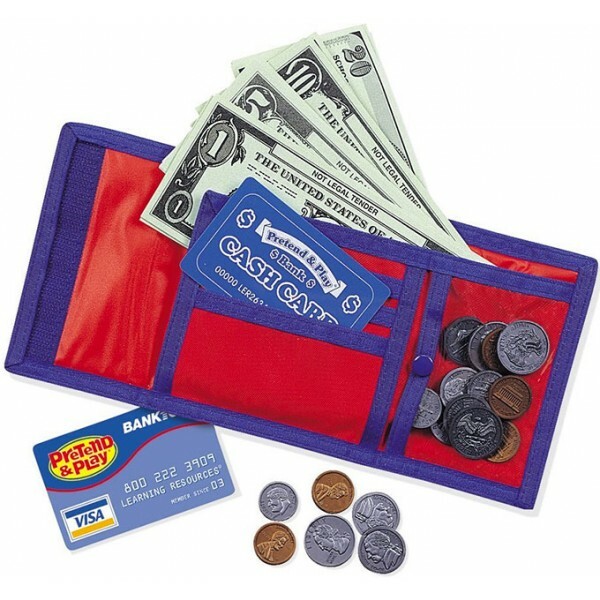 Get set for a pretend shopping spree with Learning Resource's grown up wallet. 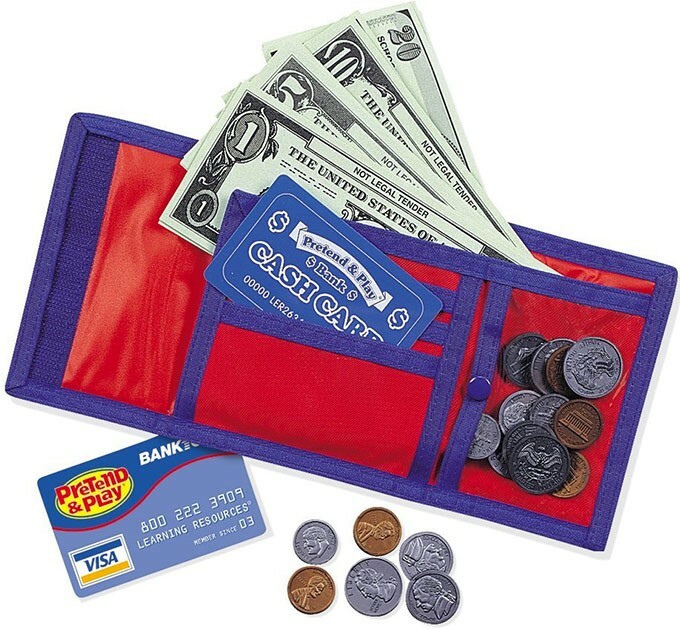 Includes 30 bills, 40 coins, credit card, and bank card. Made of nylon fabric with Velcro close. Features driver's license window, zippered coin compartment and suggested activities.